You are here: Home / Live Well / Hot Flashes / Can Hypnosis Help Hot Flashes? Can Hypnosis Help Hot Flashes? Last week we established that I have not yet or may never experience the infamous “hot flash” syndrome that causes millions of women to suffer on sometimes a daily basis. But, in the name of preparation for what might hit me in the future—I decided to do a little research and see what treatments are out there other than pills and supplements. And, I was super excited to find many studies that have demonstrated that hypnosis is a promising form of treatment. I am a huge fan of hypnosis for the treatment of many things that ail me, including sleep, relaxation and appetite control. 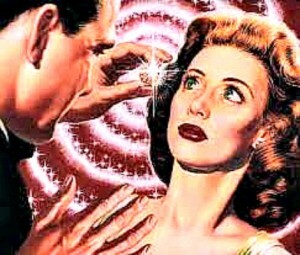 Of course, hypnosis is not the answer for everyone and I’m not a doctor. But, if you are like me – you try to find non-chemical answers to medical issues first and then head to the doctor if none of those are effective. And, unlike supplements and over the counter (OTC) medications – hypnosis does not interfere or cause negative interactions with any current medications you might be taking. This is a concern that not many people consider when taking supplements and OTC meds. Not interested in taking hormones as a hot flashes treatment? A drug-free alternative therapy for this menopause annoyance might be hypnosis. According to research published in the journal Menopause, clinical hypnosis cut hot flashes by nearly 75 percent. For the study, 187 women who were having seven or more hot flashes a day were given five hypnosis sessions a week for 12 weeks. The women also reported improved sleep quality, which could be a bonus effect of fewer hot flashes and stressing less about them, says lead researcher Gary Elkins, PhD, a professor and director of the Mind-Body Medicine Research Laboratory in the department of psychology and neuroscience at Baylor University in Waco, Texas. Dr. Elkins cautions that the use of hypnosis in menopause treatment is in its early stages. However, it has no negative side effects, so you can try it as a way to reduce menopause symptoms with little worry as long as you look for a certified clinical hypnotherapist. I will continue to use hypnosis therapy for sleep and keep it my back pocket for hot flash treatment. Keep in mind that researchers are listening to women’s requests for alternative approaches to manage hot flashes and studies in search of even more options continue.